Foodies will know what to expect just from the name of the restaurant, as Punjab On My Plate truly stands to its name. Killing the demons of your hunger, this restaurant will turn out your savior. The restaurant serves up North Indian, Chinese and Italian cuisine with plenty of options in rice and curries. The restaurant also offers ranges in beverages as well. 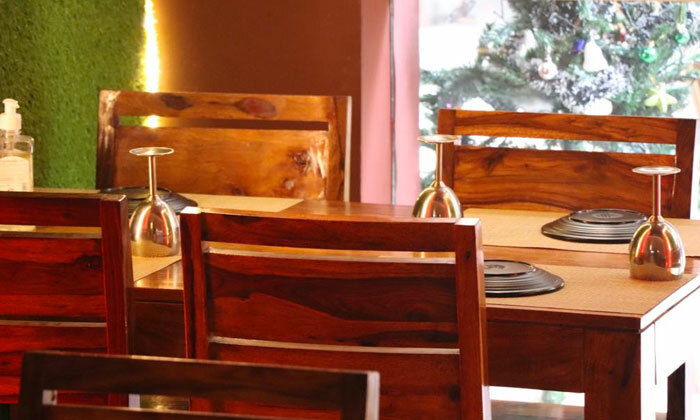 Aware of the fact, a typical Punjabi food cannot end without cold beverages, the restaurant offers some soothing and traditional Punjabi beverages. The ambiance is elegant with indoor seating arrangements and an inviting vibe. So come along with your loved ones, and together enjoy a tasty and wholesome meal that will have you going back for more.